Oil pumps are critical to the mechanics of the rest of the engine. Without proper oil circulation, the moving parts of the engine cannot work properly. That’s why oil pump failure is such a big deal. Help prevent failure by understanding what causes it. When your oil pump fails, it’s probably for one of the following reasons. If your oil pump fails very quickly after you’ve replaced it, there’s a chance you installed it incorrectly. Proper installation can be tricky; from properly shimming the pump to giving the gears sufficient backlash, many little mistakes during installation can cause the pump to fail. Highway and Heavy Parts did an earlier blog on specific failure analysis related to improper oil pump installation. You can view that analysis here. Okay, I’ll admit we’re lumping up a lot into this one. Whether it’s from poor maintenance or another failure in the engine that cause oil contamination, there can be various reasons that oil is bad. Yes, oil changes are a pain. It seems like you’re always due for one, and all that new oil plus the cost of the filter can add up fast. However, we cannot stress enough how important oil changes are. Pro tip: to save some money, try changing your own oil. Oil changes are needed every so often to keep the oil in your engine fresh. If you’ve ever done oil changes yourself, you know the color of the engine coming out of the engine is much different from the pretty, clear oil that went into the engine. As oil circulates throughout the engine, it picks up a lot of debris from the wear of the many moving parts in the engine, along with sludge and other grime. All of this extra stuff in the oil keeps it from properly lubricating parts. Instead of providing a barrier for wear, the particles in the oil will cause extra wear on the parts around it, especially the oil pump. Plus, you need to be extra careful on your oil changes if you’ve just rebuilt your engine. After you break in an engine after rebuilding, there will be a lot of extra particles floating around. To get the details on oil change intervals after break-in, check out our blog about it. Oil contamination is when anything other than oil gets into the oil. In the poor maintenance example above, the debris that the oil picks up throughout its time in the engine is an example of oil contamination. Likewise, contamination can occur if there’s fault somewhere else in the engine and other fluids get into the oil. One example of this would be if your fuel leaks into the oil. Contaminated oil can cause a lot of harm to the pump. Maybe your oil is perfectly fine and free of contaminants. But if you don’t have the proper amount of oil in the engine, you’ll still have an issue. Specific amounts of oil are required for each engine. This specified amount is based on how much oil is needed so that there is proper circulation throughout the engine and enough oil to properly coat all necessary surfaces. If the oil level is too low, the oil pump will have to deal with extra friction due to lack of lubrication. This will cause mechanical problems and warping of various parts in the pump, which will eventually cause the pump to fail. The last major cause of oil pump failure applies to almost anything. No matter how well a part is made, it will always be subjected to time and use. Nothing lasts forever, and eventually your oil pump will probably give out due to normal, unavoidable wear. Even if it doesn’t fully fail, it won’t perform optimally and you’ll need to replace it to regain proper function. 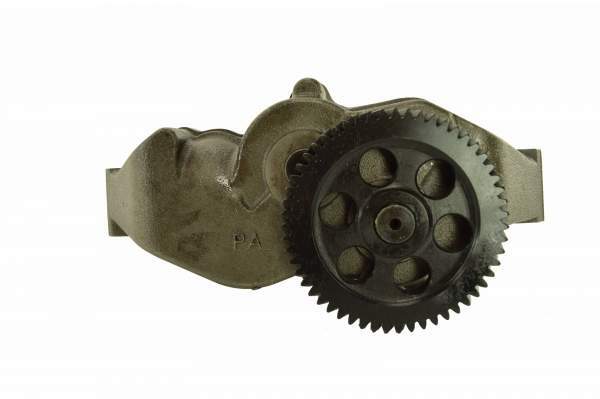 If you’ve had an oil pump fail or your pump is wearing down, it might be time to replace it. Get a quality pump and the technical service to back it up by calling HHP at (844) 215-3406 or request a quote online.